"I absolutely love Dr. Whitfield and his team!" "Great doctor and exceptional staff. I refer all of my friends to him." "Dr. Whitfield is awesome, he explain everything step by step!" "Dr. Whitfield is a great doctor. He's very personable and friendly." "Love, love, love this doctor! His staff is so friendly...they make you feel comfortable." "He always takes the time to talk and makes you feel like you're the only patient." "Words cannot express my gratitude for Dr Whitfield." "Best best best!!!! I have been a patient for years! Won't go any other place." 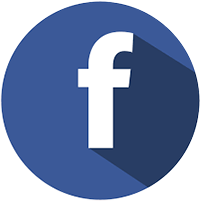 "I have been going to see Dr.Whitfield over 15 years and I have never been disappointed." "He's an awesome doctor and very professional." 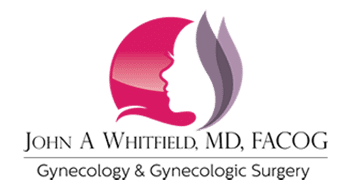 John A. Whitfield, MD, brings more than three decades of exceptional gynecological healthcare training and experience to women in the Fort Worth, Texas area. After graduating from the University of Missouri-Kansas City I relocated to Dallas for a residency in Obstetrics and Gynecology at Parkland Memorial Hospital. I loved this area, so decided to start my practice in Fort Worth. What I found were a wonderful a medical community, patients, and colleagues which helped build a thriving practice. Over the years, I have strived to provide compassionate and expert care in a professional and friendly environment. Practicing obstetrics has been a wonderful opportunity to participate in building families that make up our community. And gynecology has allowed me to provide care to thousands of DFW women from the teens, through the reproductive years and into menopause. Modern women’s healthcare means options and choices. And as medical science develops, so do treatment options. I have strived to stay abreast of the latest developments and have continued to position myself as one who can offer contemporary treatments to my patients. Obstetrics and Gynecology is a very diverse specialty and staying current with developments in essentially two specialties has become a challenge within my specialty. So, after delivering over 2000 babies to area families, I decided to pursue an ongoing passion and focus my practice exclusively on gynecology and gynecologic surgery. What I have found is that more and more women are, in fact, choosing to see someone who specializes exclusively in gynecology and the reasons are many. Your time is important, you are looking for someone who specializes in the problems that pertain to you, and you are looking for a higher level of service and care. My staff has been carefully chosen as professional, friendly and helpful individuals who have been thoroughly trained in gynecology to provide expert care in a warm and compassionate setting. We are not just interested in outcomes, but also in you as a person and your story. Furthermore, providing a high level of service exceeding your expectations is our goal. My team and I look forward to meeting you and taking care of your needs. We are excited about the possibility of creating a trusting and caring healthcare partnership with you. Certified by the American Board of Obstetrics and Gynecology, Dr. Whitfield has been the physician of choice for thousands of area women. He takes a partnership approach to care, investing time in getting to know you as an individual. Then a customized treatment plan can be tailored to your unique needs providing advanced, personalized care. Count on Dr. Whitfield and his staff to partner with you in your care. Working as a team, they will give you the time and attention you need to address your health concerns. Once informed and empowered, you will feel confident making the decisions that are best for you. Dr. Whitfield works directly with pharmaceutical companies providing patients access into clinical trials for leading edge medications for problems including uterine fibroids, endometriosis, permanent birth control and hot flashes. Many patients have taken advantage of these opportunities. "I have been a patient of Dr. John Whitfield for many, many years. I have remained with him because he has done such an outstanding job of caring for me." "I went to get my first pap smear - and the staff made me feel very welcome and comfortable. The office is home like, and there was very little waiting time." "I have been a patient of Dr. Whitfield for many years now. He is very approachable and a caring great doctor!!!" "I have been coming to Dr. Whitfield for 11 years. He is an amazing doctor and overall a very kind man! Love him!" "From the very beginning Dr. Whitfield and his staff have made me feel welcome. I could not have asked for a better doctor and I'm glad that I found him." "I have been coming to Dr. Whitfield since the age of 17. He is the best Gynecologist in Fort Worth and has plaques around his office to prove so." "I have been coming here for years. I love how concerned and caring he is. He listens and explains everything so that you can understand." "Dr. Whitfield is one of the most amazing doctors there is. It took me so long to find an OBGYN that I can trust 100%." "Excellent doctor. Very caring! He fixed me and I can't complain! Thank you!" "Dr. Whitfield and his staff have always been friendly and warm at each visit. The office feels so welcoming."